Our Lavender Rose and Lily Blooms bouquet is meant for someone special! Does someone in your life come to mind? 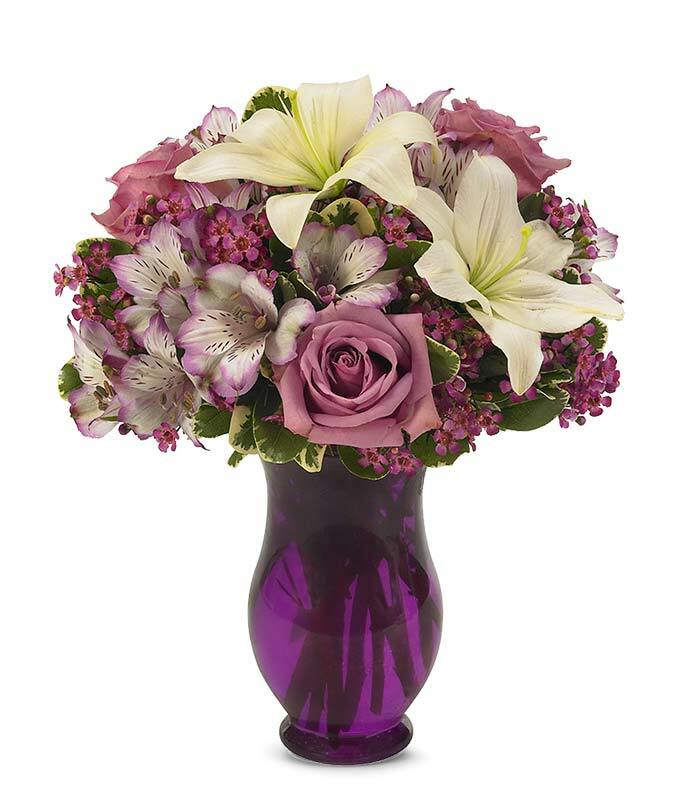 Pearly white lilies carry elegance, purple alstromeria show devotion and perfect purple roses convey compassion. Send your special someone this hand-crafted arrangement which is thoughtfully designed to leave to a lasting impression. Measures 13"H by 11"L.